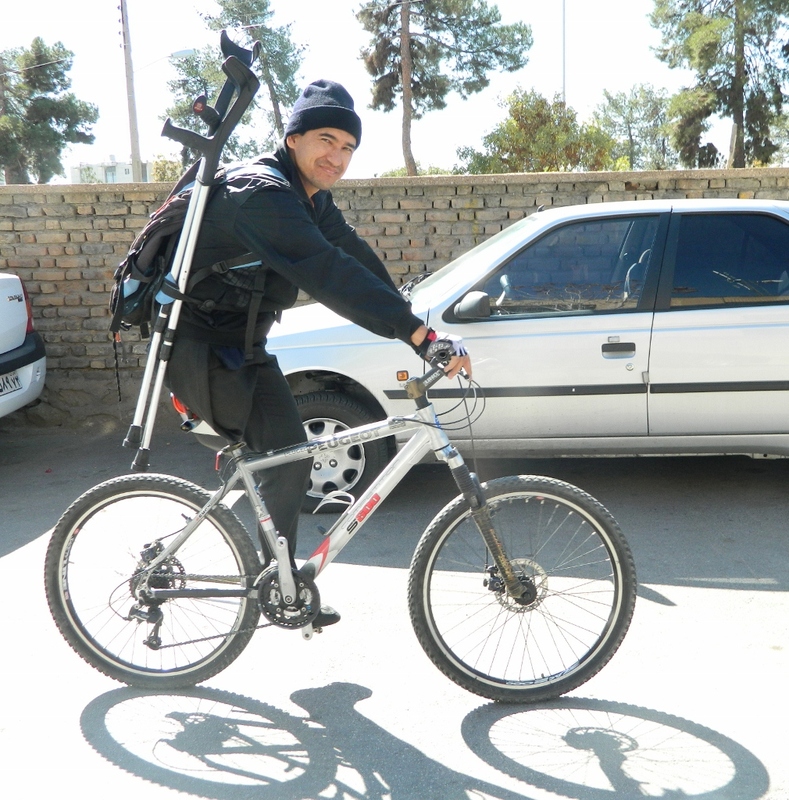 Sheyda’s M. Heydar’s first bicycle was an old red bicycle that he found near his dusty stone home in his desert village, it was 1981 in Afghanistan. Sheyda smiles at the memory of riding his red bicycle to school. As I peer down at Sheyda’s identification card, it reads ‘Iran Cycling Federation of The Islamic Republic’. I am bursting and can barely contain my cheer inside, for meeting a professional cyclist is a huge treat. Sheyda’s affection for sports began as a young child on the dusty stone streets in his village near Kabul, Afghanistan. As youngsters do, he was taught be his family how to ride a bicycle. Soon the Taliban, a notoriously extreme political group took over the country side. Armed with bombs, guns and violent enforcement, the Taliban terrorized the area with new rules. Women and children were banned from schools. Museums, medical buildings and school texts were burned, banned or banished. Sheyda could no longer ride his red bicycle to attend school. The streets were exploding in fear and such freedoms were now a frivolous thing of the past. Bomb blasts were a daily affair. Sheyda was given a gun by his neighbor. As a boy child, it was mandatory to replace his red bicycle with a weapon. He was ordered to carry it and protect his family on the bomb laced streets alongside his neighbors. 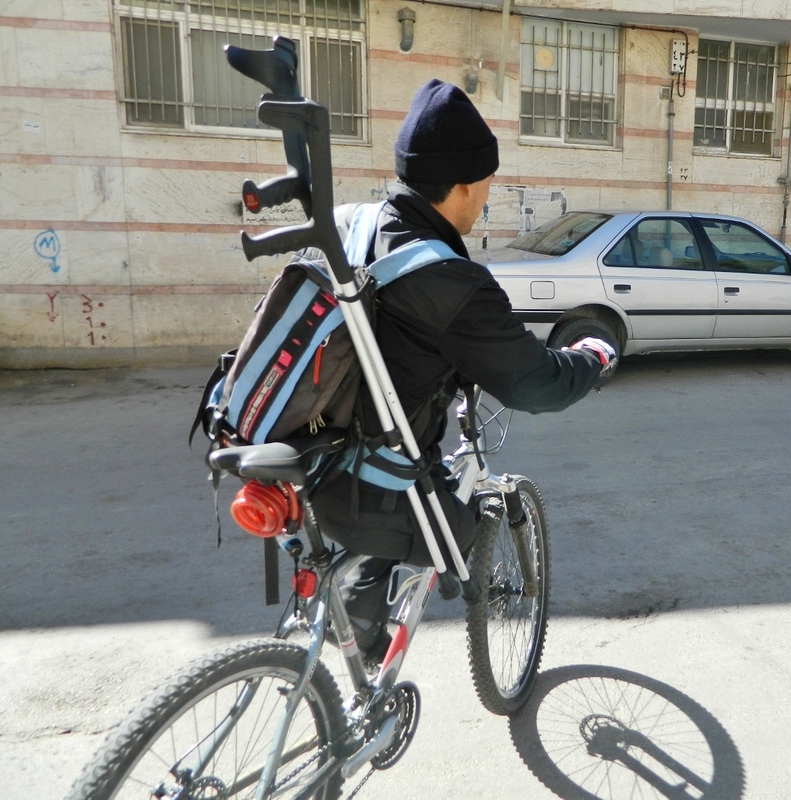 Soon thereafter, Sheyda lost his leg to a Taliban bombing and fled Afghanistan to Iran, his family had been killed. Today, Sheyda’s around town bicycle is no longer red but is a silver Peugeot mtn. bike equipped with one spd clip pedal. He is a professional para-cyclist sprint racer and most recently competed in the international para-games in Gangzou, China. 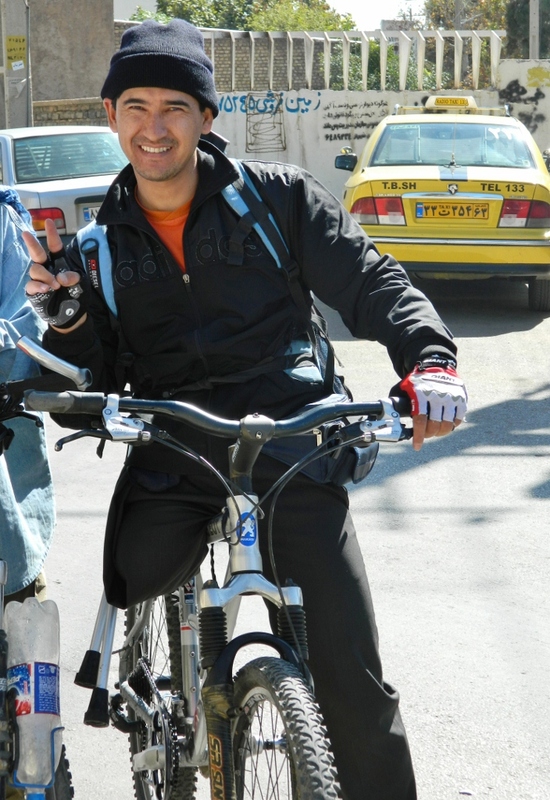 He is presently training in Shiraz, Iran on the sprint track with the other Iranian professional cyclists. He hopes to beat his sprint record in the upcoming international games. 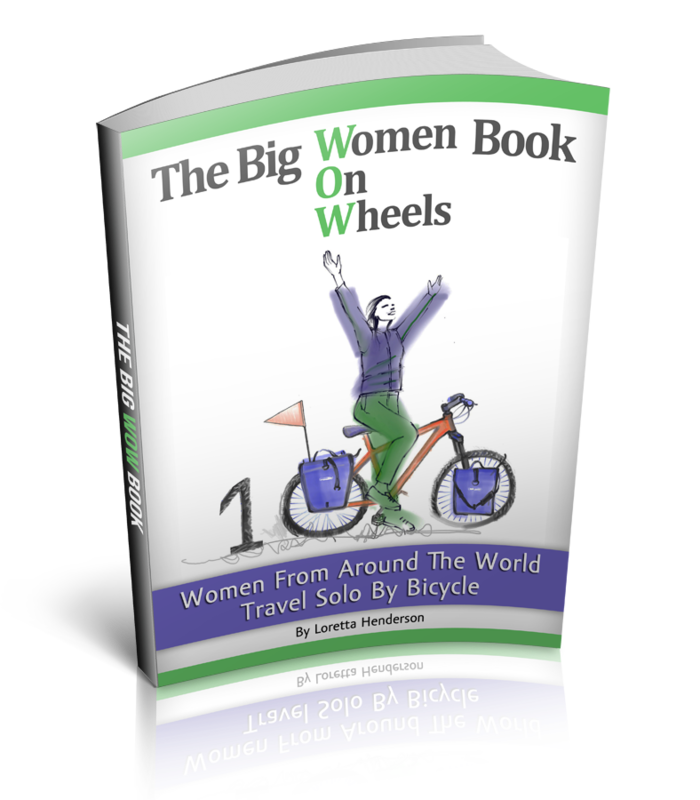 I know this sister cyclist will definitely be bursting with cheer for him on the inside and the out. Ughh!! so depressing,wow strong,another reason why we're in Afghanistan trying to rid the country of Taliban,bastards!wish him all the best! Wow, aweseome, inspirational story! I admire you so much for showing me a glimpse of a country I'm not sure I have the courage to visit, but would love to! And this guy- not only a survivor but someone who aspires to live their dreams, despite such a horrific past.